Governor Schwarzenegger and Mayor Villaraigosa hold a press conference during the Sayre Fire in the Sylmar community of Los Angeles. November 16, 2008. 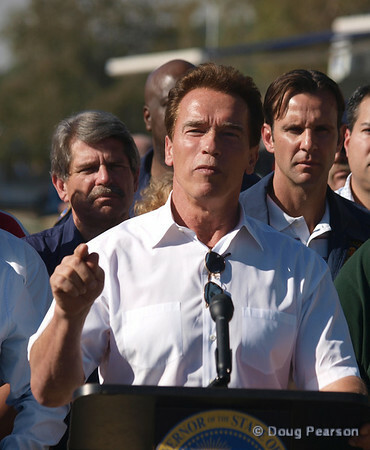 Sayre Fire press conference with Governor Arnold Schwarzenegger and Mayor Antonio Villaraigosa, Nov 16, 2008.